These organisations besides others include PIA, Wapda, PSO, OGDC, SSGC, SNGC, SECP, NBP, BoI, Privatisation Commission, power and generation companies, regulatory authorities, PTV, PTA, CAA, Nadra, etc. For the appointment of CEOs in all the 65 government entities, the process of public advertisement, shortlisting of eligible candidates and interview by a selection committee will be done. The selection committee will recommend a list of three to five candidates for the appointment of them as CEO by the prime minister. The selection committee will comprise concerned minister, secretary of the division, one to three experts or specialists of the area concerned and non-executive chairman of the board of directors. According to government sources, it has been done to introduce uniformity and transparency in the selection process of CEOs of key government institutions and attract the best-possible candidates through an open competitive process. 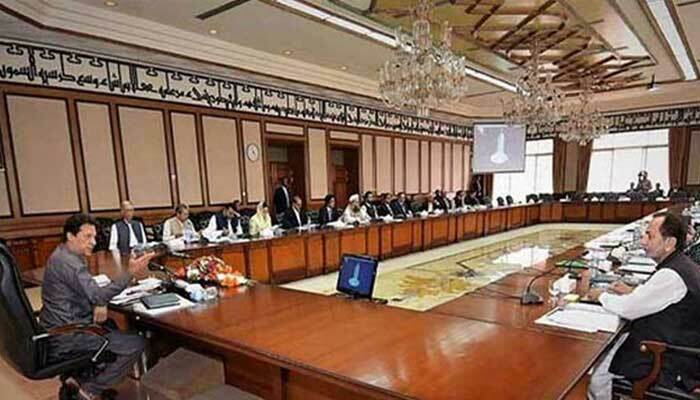 These sources said that the cabinet has already approved the new procedure that curtails the discretionary powers of the prime minister and entrusts the selection to a committee. Referring to the cabinet document, the source said that the selection committee would consist of i) Minister in-charge of the division concerned under which the institution falls; ii) Secretary of the division; iii) One to three experts or specialists with the domain knowledge of the field of activity of the institution; and iv) The non-executive chairman of the board of directors or a senior member of the board where the board exists and where such a board does not exist a member to be nominated by the prime minister. It is said that for the appointment of CEO in any of the 65 government entities, the concerned division will furnish the job description, the eligibility criteria and the skills required for the job. The selection committee will decide the evaluation parameters for the job. Later, the concerned division will place a public advertisement in leading newspapers and post on the relevant websites of the government. The division will then submit the list of eligible candidates to the selection committee for initial review. After the shortlisting is done, the division will arrange the interviews. The selection committee will forward a list of three to five candidates to the appointing authority i.e. the prime minister. The appointing authority can select any one of the candidates recommended by the committee. However, if not satisfied with the list, he shall ask for a fresh panel. The CEO thus selected will be appointed on contract for a fixed tenure as prescribed in the relevant law. The institutions which would following this process are: Sui Southern Gas Co; Sui Northern Gas Co; Pakistan Petroleum Ltd; Oil and Gas Development Corporation; Jamshoro Power Generation Co; Central Power Generation Co; Northern Power Generation Co; Lakhra Power Generation Co; Iesco, Islamabad; Lesco, Lahore; Gesco, Gujranwala; Mesco, Multan; Fesco, Faisalabad; Hesco, Hyderabad; Qesco, Quetta; Pesco, Peshawar; Tesco, Tribal Areas; Trading Corporation of Pakistan; House Building Finance Corporation; Pakistan Brunei Investment Company Ltd; Pakistan Kuwait Investment Company; Pakistan Libya Holding Company; Pakistan Oman Investment Company Ltd; Pak-Iran Joint Investment Company Ltd; Saudi Pak Industrial & Agriculture Investment Company; First Women Bank Limited; Universal Service Fund; Pakistan State Oil; Pakistan Television Corporation; Pakistan International Airlines; National College of Arts; Oil and Gas Regulatory Authority; National Tariff Commission; Trade Development Authority of Pakistan; Pakistan Environmental Protection Agency; Higher Education Commission; National Vocational and Technical Education Commission; Securities and Exchange Commission of Pakistan; National Insurance Company Ltd; Pakistan Reinsurance Company Ltd; National Institute of Health (NIH), Islamabad; Pakistan Agriculture Research Council; Zarai Taraqiati Bank Limited (ZTBL); Khushali Bank of Pakistan; National Bank of Pakistan; Board of Investment; Privatisation Commission; Public Procurement Regulatory Authority; Drug Regulatory Authority of Pakistan; Export Processing Zone Authority; Pakistan Electronic and Media Regulatory Authority; Pakistan Sports Board; Pakistan Telecommunication Authority; National Data Registration Authority; Pakistan National Shipping Corporation (PNSC), Karachi; Karachi Ports Trust; Port Qasim Authority; Gwadar Port Authority (GPA), Karachi; Water and Power Development Authority; Pakistan Standard Quality Control Authority; Civil Aviation Authority; Central Directorate of National Saving; Pakistan Institute of Medical Sciences (PIMS), Islamabad; and Pakistan Bureau of Statistics.